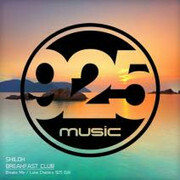 Breakfast Club already made it's debut recently on 925 Music's mix compilation, mixed by progressive house hero Luke Chable. On March 7th Breakfast club will see it's official release accompanied by a Break Mix version and Luke Chable's 925 Edit. Enjoy another quality progressive release.